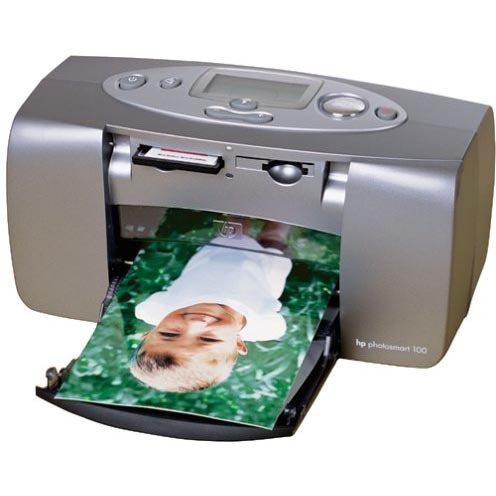 Save on remanufactured replacement HP PhotoSmart ink cartridges by shopping with 1ink.com. We specialize in remanufacturing cartridges with brand-new internal parts that perform up to the highest industry standards. At 1ink.com, our printing supplies are available at the lowest price on the market. We provide the best HP replacement ink cartridges at competitive prices and with incredible service. We’ve got plenty of HP 56 and HP 57 black and tri-color ink cartridges to keep your HP PhotoSmart 100 printer producing top-notch print work. Whether you’re shopping to restock your office printing supply or replace your printer ink at home, 1ink.com has high quality HP 100 ink cartridges. Every remanufactured cartridge goes through a comprehensive quality-assurance inspection and a thorough print test. This process ensures that all of our remanufactured HP printing products meet the high standards set by the original equipment manufacturer (OEM). At 1ink.com, our remanufactured HP PhotoSmart ink cartridges will always exceed your expectations, and with our full 1-year warranty, we guarantee complete customer satisfaction. Speak to our friendly customer service team to get more information about our policies and budget prices. Our in-house team members can also help you find the perfect remanufactured HP cartridge for your exact printer model. We’re excited to supply you with dependable ink at the best price possible. Purchase today and get free shipping on orders over $65. With a standard two-year shelf life on all our remanufactured HP ink cartridges, you can even stock up and save so you’ll never run low on printer ink again.